Earn $9.90 in VIP credit (990 points)What's This? 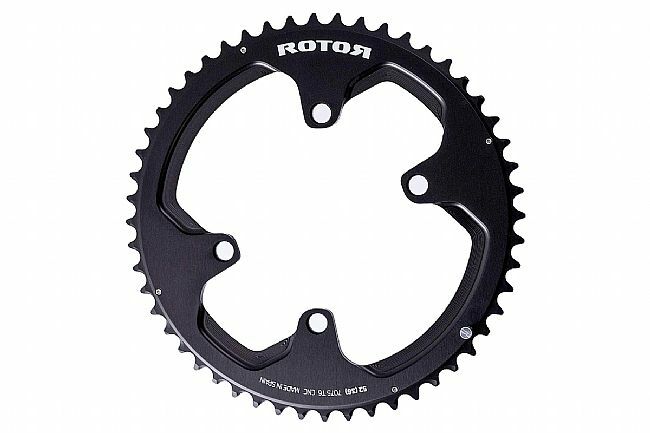 The NoQ Round Chainrings - 110x4 Asymmetric BCD Outer from Rotor is machine CNC'd from lightweight aeronautic-grade 7055 aluminum and designed to enhance power transmission. Click on the drop-down for tooth count options.